Movies are one of the most popular forms of entertainment today. They shape and influence public opinion in more ways than one. The film industry is a major contributor to the South Asian Economy and undoubtedly, South Asia produces the most number of films each year. Today, with the ever increasing exchange of talent between both the countries of India and Pakistan, films are what unite us. Khuda Kay Liye proved to be a turning point for the Pakistani film industry. It won numerous accolades for beautifully showcasing sensitive issues affecting South Asia. It is a thought provoking movie touching upon a plethora of issues which are of immense importance globally. Broadly, it focusses on how common man can be misled by those who interpret religion in an orthodox way. It discusses specifically region centric issues like forced marriages (which are predominant in the Indian Subcontinent). We have come across numerous cases in the diaspora (both Indian and Pakistani) where foreign born girls are forcefully married off to men back in their homelands. They face difficulties in adapting to the conservative cultures back home and are often ostracised by their communities. Some accept their fate , the resilient ones fight it. Forced Marriages and Honour Killings are a sad reality in this part of the world. I believe that religious conservativism is the root cause of these practices. Religion is supposed to bring people together in a positive way to influence change but the grim reality today is that religion is being used to influence youngsters into violence and hatred. Young impressionable minds are lured into this menace on the promise of “Jannah”. We see something similar in the case of one of the characters in the film, Sarmad. He is a music loving, jeans wearing youth who is misguided by a Mullah with Salafist leanings. Today, most of the religious men concentrate less on reciting the sermon and more on the political aspect of it. Understandably, the latter seems more interesting and comprehensible to youngsters. For the mullahs, this is perhaps the only way to make the religion seem more relevant to the youth who are moving away from it. But, they end up giving the wrong picture and misguide these young people who start believing this form of the religion. This film hits the bull’s eye there . Maryam, one of the characters in the film who is forcefully married off to her cousin is brazen and bold. She has the strength and courage to go to the Court to fight for justice in a country where few stand up against the statusquo. In the film, Maulana Wali is a ray of hope who explains to the court how religion is being wrongly interpreted by these self styled clerics who incessantly radicalise thousands of youngsters into the futile “jihad”. He vociferously quotes the religious texts like the Quran and the Hadiths to support his stance. The Quran gives more freedom to women than men. It clearly states that a women is free to choose her spouse and only she has the final say. He further goes on to say that these clerics have deduced twisted connotations from these texts to suppress women. One of my greatest learnings from this movie is the fact that no religion preaches violence or hatred of any form. Religion is the most exploited and the most convenient excuse that people use for their personal benefit. It is also very important to separate our daily lives from religion or spirituality. It is one of the most personal things and wearing one’s faith on their sleeve doesn’t make them any more of a believer. 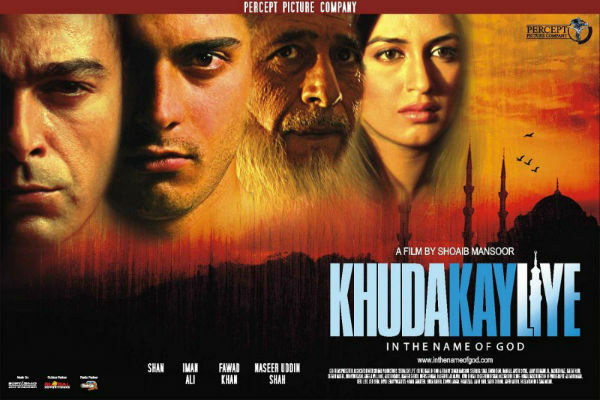 The movie, through Mansoor’s character made a moving portrayal of how misconceptions about the religion can lead to life altering circumstances. Post 9/11 , America started a policy of indiscriminate racial screening of Muslims. Common law abiding people like Mansoor became a victim of this policy and were tortured and put through unspeakable things. Though the portrayal is hyperbolic, yet it does a fairly good job in putting forth the reality. I feel the movie is very relevant to today’s social context. We are living in an era where religious extremism is a menace ruining lives. Overall, the movie makes an effort to remove misconceptions that people, in general have about South Asians. This movie does a fairly good job in highlighting the fact that Indians and Pakistanis have almost similar cultures, practices, way of thought , etc. and that the LOC is just a physical border demarcating us. Cinema was born to connect artists around the world. It is the only place where artists from all round the world can meet with mutual respect. It creates connections and supports cultural exchange across borders. Cinema dates back to the 19th century where films were produced occasionally. However, with gradual development, it has turned out to be a great source of communication, and a powerful medium for instruction. It has become a tool for forming public opinion and framing the mindset of the society. As the words of Oscar Wilde “I regard cinema as the greatest of all art forms. The most immediate way in which a human being can share with another the sense of what it is to be a human being” validates the fact cinema has a deep-seated impact on an individual. One of the best means for positive transformation and healing can be found in the form of a film. This is why I choose a film to write on – Kya Dilli Kya Lahore. There are times when you see a movie which is not just three hours of entertainment, but more than that – a movie that is a spectacular experience for the audience. Kya Dilli Kya Lahore is one such movie. The one thing that is parallel to both India and Pakistan is the fondness for cinema. Mainstream movies in both India and Pakistan are built on the crux of partition. The word “Partition” mainly emphasize hatred of the “other” so as to signify the patriotism of “another”. However, this movie resides by the humane side of this cross-border conflict. It is a poignant reminder of the barrenness of war, and the dreadful waste of human lives. The movie starts with Jawaharlal Nehru’s Tryst with Destiny speech, and the visuals move from the tricolour to the partition massacre. 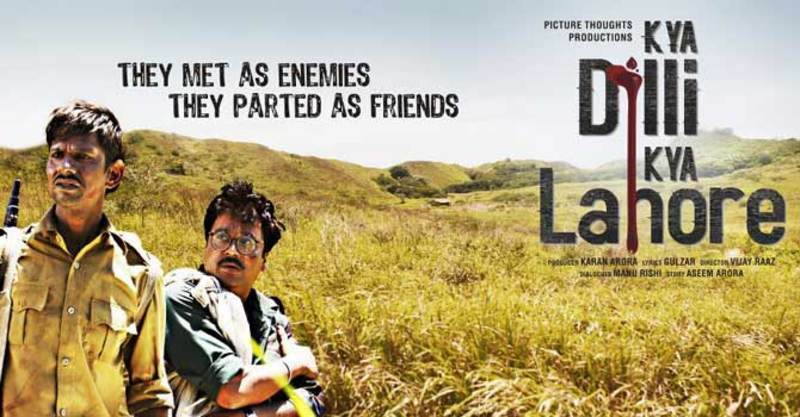 Set in the year 1948, when the memories of the bloodbath of partition is still fresh, the movie tells the tale of an Indian soldier of Pakistani origin (Lahore) and a Pakistani soldier of Indian origin (Delhi), their fortuitous meeting, and the succeeding exchange of bullets and heartening words. As the movie progresses, the audience is told of the the humiliations they are subjected to, as they become refugees in their new homelands. The film is a lighthearted take on Indo-Pak relations and talks about the bond between an Indian cook posted at the battalion named Samarth Pratap Shastri (Manu Rishi) and a Pakistani soldier named Rehmat Ali (Vijay Raaz) stationed at the Wagah border. Rehmat is a new induct in the Pakistani army, and is sent by his senior to get hold of a confidential document regarding a secret tunnel, from the Indian post. Rehmat moves towards the Indian camp, and his encounter with the cook Samarth is not only amusing but most disheartening. The movie aspires to be a socio-political satire in the way it is written and edited. The conversation flows naturally – of their memories before partition, the struggles of the present life and the implanted beliefs of partition. They blame each other for the massacre created – destruction, mayhem, gun shots, murders, spoiling of relationships and peace. Both Samarth and Rehmat initiate their conversation with superiority and distrust, a common thing between Hindus and Muslims. However, as time passes they start feeling for each others’ pains. The most touching scene comes when they recall their childhood memories – when Rehmat is reminded of the jalebis of Chandni Chowk in Delhi and Samarth is reminded of the Anarkali Bazaar in Lahore. The loss of their native places was clearly expressed by their sad faces, an emotion that most people experienced during partition. As the movie continues, we see the air of hatred turning into compassion. When Samarth cooks aloo paratha for them, and they share their lives over the meal, borders become insignificant. Rehmat starts addressing Samarth as “bhaijaan”, and Samarth also reciprocates the same feeling. These foes-turned-friends also realize that they might be termed as traitors. They fear that their nationality might be questioned, as they are technically refugees and not natives. But they also realize that this hatred and conflict is because of political superiority and selfish leaders who are least concerned about the betterment of the country and its citizens. There are short philosophical discussions on the issues concerning power. The ending of the movie is truly heart-wrenching when Rehmat shoots his Captain to save the innocent Samarth. They prove to be true friends divided by border but united by hearts. The climax proves to be a statement for their deep yet unspoken friendship and love. The movie brings us face-to-face with the distress of a soldier. These conflicts and hatred have a very destructive impact on the lives of soldiers, keeping them pine for the love and comfort of their family. There’s one small stretch when there is complete silence between their talks, and that is when the audience can relate to their pain most intensely. The movie talks about peace without being preachy. The title of the movie signifies the spirit of unity between the two nations. Before partition, Delhi and Lahore were a symbol of peace and unity between the two nations. The movie emphasizes to bring back the same love and peace on both sides of the border. Indeed, kya Dilli and kya Lahore..!! The stellar performance by the duo keeps us hooked. Even Raj Zutshi as Barfi Singh, a postman aspiring to be a soldier and Vishwajeet Pradhan as the dominating Pakistani captain, have done justice to their small roles in the film. The sharp and crisp dialogues throw up guffaws every now and then, presenting the serious note in a very subtle manner. Raaz has done really well in his first directorial debut and has made every character come across as humane – with Barfi reading the emotional letter for Samarth and through the Captain’s frustration about the leaders. Gulzar’s poetic excellence adds to the gravity of the film. His poetry reduces the borders to be mere lines stretched in anger. The film has been taken positively by both Indian and Pakistani public. This proves that the people of both India and Pakistan long to be united at one undivided land. If cinema can be used as a medium of peace building and forming opinions, it can do wonders in bridging human differences. They give out a peaceful message and bring closer the people of different communities. The task of cinema is to engage the audience in his movie, and to instruct them on the issues which might be hard to convey through words. In the words of Satyajit Ray, “Cinema’s characteristic forte is its ability to capture and communicate the intimacies of the human mind”. 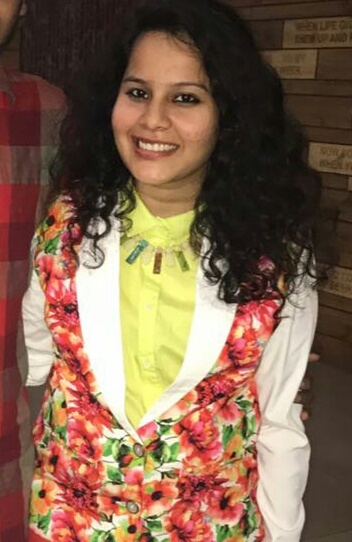 Poorva Bajaj is from Kolkata, India. She is pursuing English honors and is a freelance Content Writer. She describes herself as an Inkslinger and peace lover. Being a third generation refugee, I’ve always been haunted by the idea of how facing partition must have been for my grandfather who was uprooted at a tender age of eight. During my growing years he used to narrate me stories of partition and one person whom he would even curse today, the name was Radcliffe, whose one stroke on the map destroyed more than million lives. As Manto puts it, the fight (brawl for ruling India) of madmen was solved by giving them their own madhouses. This role of allotting madhouses was done by Sir Cyril Radcliffe. The nations were built and borders were drawn with blood and madness was put to an end. 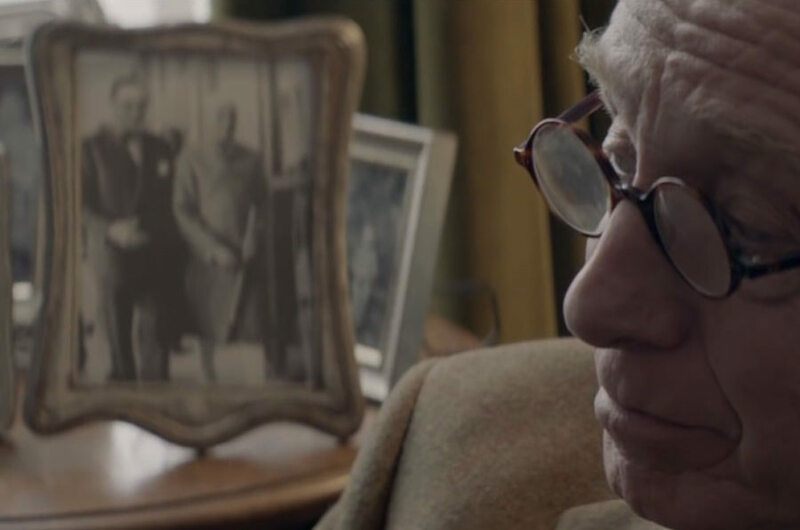 ‘This Bloody Line’ explores the final years of life of Sir Cyril Radcliffe who partitioned India and presents psychic turmoil of the man who preferred patriotism over humanity. It is believed that parting the land had put Radcliffe into struggle of conscience. In words of British playwright Howard Breton, “There were clues that Radcliffe had a dark night of the soul in the bungalow: he refused to accept his fee, he did collect all the papers and draft maps, took them home to England and burnt them.And he refused to say a word even to his family, about what happened.” Madhvani fictionalizes this aspect of reality of Radcliffe’s dimming years and beautifully presents it in this short movie of nine minutes and forty two seconds. Set up in a typical English sitting area, This Bloody Line begins with Nehru’s voice delivering the famous speech Tryst with Destiny. Accompanied with Nehru’s voice Madhvani puts in graphics which portray various ‘players of the game’ (politicians, of course) and a prospective utopian picture where India was supposed to “awake to life and freedom”. The scene then gradually shifts to the sitting area in 1966 England, where Radcliffe is accompanied by his wife Antonia Roby. The sixty seven years old Radcliffe receives a telephone call which informs him about poem W.H Auden had written about him. The decaying Radcliffe is overwhelmed by this and to which Antonia responds that the poem is not “kind one”. Antonia becomes eyes for Radcliffe and recites the poem by Auden which severely criticises Radcliffe for the partition which was done for better or worse, nobody knew. The poem acts as a catalyst to the plot and Radcliffe brims with “denial, anger, sadness and consequently acceptance. These transitions are evident through three phases in the second half of the movie. Radcliffe begins to defend himself by explaining how he was merely a pawn in hands of “madmen”. Antonia out rightly criticises Lord Mountbatten and his major role in initiating partition of India. While Radcliffe makes it clear that each of “madmen” wanted partition by 15th of August. He says. “Nehru, Jinnah, Patel…Well they all told me they wanted partition by 15th August. So I drew them a line” The emphatic dialogues highlight the arbitrariness of the ideas behind partition. Radcliffe who was a lawyer and had never been to India was delegated to divide it (as Auden puts)” with inaccurate data”. Radcliffe was torn between patriotism and humanity. He became a part of the “ridiculous idea” and divided the land “in the service” of his country. The anger gradually transforms to sadness and Radcliffe points out his moral blindness which made him do something which caused mass destruction even after being warned by Gandhi. The irreversible partition “between two peoples fanatically odds” had not been an easy walk. While Madhvani in a very balanced manner explores the construction of two nations at the same time he tries to find a solution to the Radcliffe Line. Radcliffe: Imagine… someone drawing a line down in the middle of this home… this living room. You’re sitting over there. I’m sitting over here. And someone draws a line right down here in the middle. The line divides us. Antonia: In that case darling, I should come to your side, shouldn’t I ? The emphatic reply of Antonia to almost tearful Radcliffe seems to compel viewers to initiate a talk between a divided heart. The movie ends with various clips of millions of people who were uprooted and the old Radcliffe accompanied by his wife going to church perhaps for redeeming himself from lifelong regret. The Bloody Line premiered at India Today #Conclave17 was received with massive applause. Madhvani’s attempt towards presenting the other side of the coin of gaining independence should be appreciated. The movie seems to highlight the arbitrariness of ‘the need’ of separating and inculcates a spirit to reunite to our beloveds across the borders. In contemporary world various attempts are being made to end conflicts through medium of arts and aesthetics. It is tendency of human brain to believe what it sees. Therefore, the role of visual arts is incredible in itself. The binding of narratives of different eras and their contemporary application puts this exquisite work of Madhvani class apart. Art can be used either as a way of widening or diminishing the chasm, Madhvani’s positive and simplistic approach to the subject of the Radcliffe line definitely provides a hope to general public. It is of no doubt that such art based approaches are lately gaining attention and gradually becoming tool of changing ideas. As of about Sir Cyril Radcliffe, Madhvani leaves it upon the viewers to judge him but definitely provides a new perspective to life of a man who had always been demonized via this retrospective analysis. 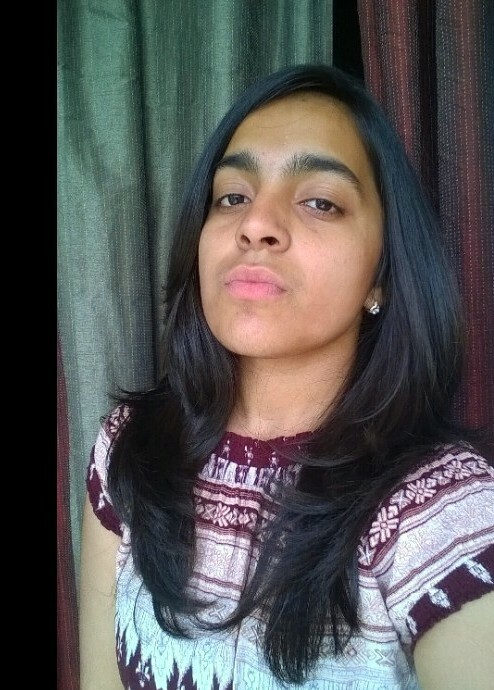 Harleen Kaur has pursued English literature from University of Delhi. She curates time in pictures and prose. On 8th July, Aaghaz-e-Dosti had organised a screening of “Kya Dilli Kya Lahore” in Lowkei Lokai, Lahore. About 20-25 people had gathered for the screening. The screening was followed by a discussion. The discussion was moderated by Shoaib and centered around partition, the human aspect of war and conflict. It was just a stroke of pen that divided not only a land of co-existence into constantly conflicting pieces but also made defunct a wonderful civilization, distorted history, negated rich cultures, blotted hearts with hatred and filled minds with pseudo-identities. We say that we created a new homeland but actually we partitioned a homeland, and partitioned it in a cruel way. Nearly a decade-long movement of rights ended up in boundaries marked with barbed wires. This politics of rights was introduced to us by imperial and colonial powers to make sub-continent a periphery of capitalist world-order. A position that granted us so many depravities and deprivations that are beyond measure and imagination. We have had to stick to this identity and since partition we are trying to justify and validate this identity. This struggle of identity involves a number of contradictions so it seems to be futile. The idea of democracy and self-determination was non-existent in sub-continent. Our centuries-long history does not corroborate this concept. Being an imposition, we were forced to practice it prior to theorize it. This project is still unfinished because of this fact and remains a source of controversies and conflicts on either side of partition. Democracy was a pre-requisite of nation-states to be created later. Colonial powers played their game well and certain concepts of human rights, self-determination, state, citizenship and governance were made popular through local intelligentsia. Popularity is not the guarantee of coherence and legitimacy. The practice of these concepts and its consequences continuously invites challenges, doubts and refutations because of inherent incoherency of these concepts. All these emerged from a single theory that was inception of certain influenced minds and strangely twisted. So strange an antifoundational theory became foundation of an ideological state. The theory was said to be based on religion and advocated separation in the name of a religion that itself vehemently rejects and refutes this idea. A religion that does not recognizes geographical borders based on nationality, the very same religion was made a base for nation and nation-state. A religion that invalidates even the concept of state was put forward to create and run a modern sovereign (theocratic) nation-state. It is no surprise, then, that such a theory caused stratification among the inhabitants of sub-continent more specifically among the Muslims. How can a theory of separation and stratification be backed by a religion that makes global communal unity one of its primary doctrines? A specific class of us contemptuously blames mullah for Muslim factions but intelligently ignores the factions formed by state-borders. Jurisdictional sects are only four while the state-factions amount to fifty-eight. Who outnumbers? Obviously, the nationalists and their wonderful theorization of nationalism(s). Nationalism makes it imperative to create pseudo-identities for citizens. Of course, the identity of being a Pakistani or Indian is a matter of geographical limits that were created haphazardly by a line first on the map then on the land. State creation is in fact a process of imposing constraints on humans and limiting their movements, thus, controlling their lives and therefore, making them more miserable than ever. This complex and hideous process of statecraft turns to be always profitable business that entails the manufacturing of commodities of citizens, patriots and traitors. Citizen is a source of income for and servant of the state. Identification cards, passports, visas, multiple registration certificates and other emblems of patriotism are for the facilitation of state functioning but citizens pay heavy price for them. In other words, state creates citizens for its own ends but forces citizens to pay for this creation. It is safe to say that any benefit citizen receives is a by-product and inevitable outcome of state’s self-serving functions. Sate’s other mechanisms of protection and defense work on the basis of hatred for other (rival) state citizens. Partition will not work without this hatred. If there is no enemy, there is no defense, and hence, no patriotism. Rivalry with other states has become raison d’être for state’s existence. Imagine the absence of hatred between Pakistan and India; hundreds of thousands will lose prestige, income, worth, status, terror and temper. So, hatred is preached and propagated, love is condoned and condemned. Bunker is for the love of banker. Every citizen is manufactured by erecting border-lines. Nationality becomes supreme identity making all other essential identities irrelevant. This identity is the need of the state not of the human who inevitably and unfortunately happens to come under the state jurisdiction. Other identities are more relevant to the citizens but of no use to state. This fact is the source of alienation and erosion of humanist traits. Thus, a national identity that is simultaneously supreme and trivial imposes a pseudo-identity on the individual. Individual’s natural and imposed identities never come into compatibility. All the circumstances and realities reinforce these opposing identities under different sorts of pressure. The result is confusion, contradiction, alienation, anomie, volatile passions, loss of identity and thus the ‘pursuit of identity’. When two citizens from rival or conflicting states face each other standing on border-lines, each of them undergoes a panic of dual confrontation. They share the same lifeworld but just a single step beyond the line and the scenario is changed. Just a line of half-step width on the land becomes sole determiner of life and loyalty. Watch your step, because if you take this step, there is violation of sovereignty of sacred hatred, you will become a legitimate victim and your slaughter will be saluted. This life-threat is the result of nationality by that person who shares your lifeworld and is experiencing the same feelings. A person for whom you would have sacrificed your own life if the pretext of borderline was not there. At this point partition appears a grim reality manufactured by the business of state. The cover of state and imposition of its institutions compel you to prove your patriotism for the sake of state. On the other hand, your natural love for the citizen before you compel to do otherwise. If you do otherwise, you are a genuine traitor. But what is the authenticity and legitimacy of these labels and what is the source and measure of authenticity? Loyalty and disloyalty are determined by the state that has no reference other than itself; thus, has monopoly in this domain. State requires patriots for its protection, service, legitimacy, functioning and existence. State has nothing to do other than manufacturing patriots and setting its own manufacturing standards. Logically, this leads identifying the enemies and labeling the citizens as traitors and terrorists. In the prevalence of only patriots, partition cannot be a useful commodity for state. So, state has to do this labelling every now and then. Training the patriots against supposed and indoctrinated (by other similar states) enemies and suppressing them in the name of protection is the whole business states are running and citizens are serving. Citizens have their own standards of patriotism but a citizen is not an authorized entity to decide her fate and is quite helpless in comparison to the state power and its authority. This marginalization of citizen’s natural authority and emotions again leads to (temporary) disenchantment with state benefits. He is sandwiched between national identity and his own personal identity. State given identity is pseudo-identity because it is imposed, volatile, abstract and often in transition. Since it runs against the history and lived experiences of the individual, it is hard to conceptualize and materialize. It is impossible to forget who we are and to internalize and emphasize who we have to become. Everyone is quite sure that one will die as man or woman but no one is sure that he or she will die as a citizen he or she is right now. This is the reality of peripheral entities turned into central ones. Therefore, partition of subcontinent was a political issue entailing the imposition of identity of patriotism. Citizens in both states now have to prove their loyalties along with other things to be proved and expressed. Imagine the old man (or woman) who slept on 13th August 1947 and in the morning, to his (her) surprise, his (her) identity was changed; now he (she) had to avow his (her) allegiance to a new power in addition to the existing ones. how can one undo one’s whole life and history? This is the problem we are facing at the individual and social level. If we accept the theory of two nations, express eternal hatred for each other and make national state our prime identity then what about pre-partition men and women and their history? Had our whole history in the subcontinent gone wrong? Had our ancestors lead their lives clinging on wrong beliefs and practices and living with wrong and bad sort of persons? Who told us all this? Again, this wrong turn and anachronism forces us to go ahead. If we say that that theory was wrong, then we have to accept the responsibility of the brave deeds done in its name. The burden of several millions of casualties explicitly shifts to our shoulders. Our feeble and fragile bodies cannot bear this strain and our moral incompetence cannot handle this. Now it has become a matter of ego, arrogance, stubbornness and of course, of business. We have distorted our history and now it is quite safe and even profitable to continue with these and further distortions. May be the state is not supposed to listen truth, so I beg its mercy. The conflict between India and Pakistan has been the subject of many a popular movies in Hindi cinema (Bollywood). Mainstream movie discourse in both India and Pakistan rests on building upon a hatred of the ‘other’ so as to glorify patriotism and a sense of national superiority. Very few movies have dwelled upon the humane side of this cross-border conflict raging since 1947. 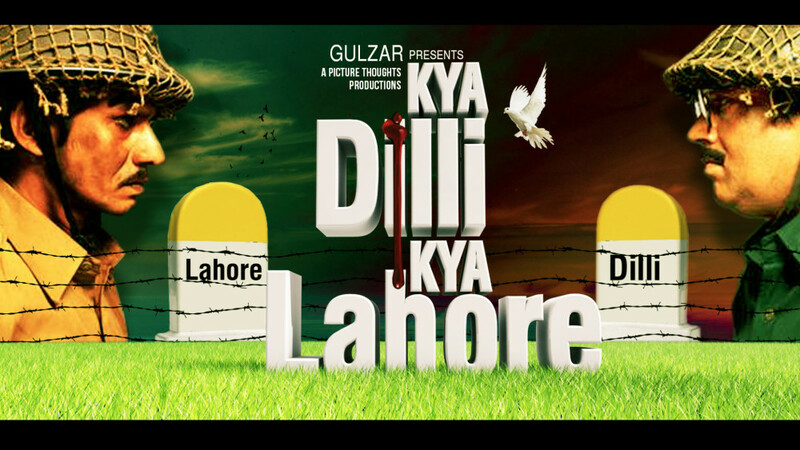 It is for this reason that Kya Dilli Kya Lahore (What is Dilli, What is Lahore) presented by renowned Indian lyricist and writer Gulzar and directed by Vijay Raaj comes across as breath of fresh air. How easy it is to picture camaraderie between a Pakistani solider and a cook in the Indian army? Impossible in the immediate war dominated scenario of 1948 following the partition of the Indian sub-continent into India and Pakistan? The movie builds upon a conversation that these two individuals have with each other while they are fighting for their own country. Samarth Pratap Shastri (Manu Rishi) is a cook in the Indian army, left to guard an army check-post all alone at the height of war. From the other side, you have Rehmat Ali (Vijay Raaj), a young, newly inducted soldier in Pakistan’s army sent by a senior to get hold of a confidential security document from the Indian camp. Hesitant as he is, Rehmat proceeds towards the Indian side, only to encounter Samarth holding on his guard from an isolated check-post in a difficult terrain. What follows thereafter are conversations that are not only funny but also heart wrenchingly emotional. As Rehmat and Samarth talk, they very predictably blame each other for the mess that India’s partition brought along. Murders of innocents, mayhem, destruction and servering of relationships that had survived peacefully through centuries. We learn that Rehmat belonged to Delhi before being forced to shift to Lahore after the partition and Samarth had his roots in Lahore before he moved to Delhi. The mass movement of Hindus to northern and central parts of India while that of Muslims to what was now Pakistan resulted in many people leaving their homes, cities and their near and dear ones far away, to never be able to return. Both Rehmat and Samarth begin their relationship with distrust, a sentiment that is commonly acknowledged by many Indians and Pakistanis. In the beginning as they talk to each other with the knowledge of ‘otherness’ and ‘hostility’, a wall of antagonism separates them (it is only after some time in the film that they finally face each other, before that continuing to converse through a barrier of distrust in typical Punjabi dialect). The most poignant scene of the film comes when Rehmat gets emotional as he shares his love for Delhi, the narrow by lanes of Chandani Chowk and Samarth is reminded of the Anarkali Bazaar in Lahore where he once lived with his family and Muslim neighbours. To both of them Delhi and Lahore were once home and the displacement caused by the partition has affected them immensely. Both cannot come to terms with the fact that they had to leave their beloved city and friends to settle for a new life across the border. It is a fact that prior to the partition, Delhi was home to several Muslims and Lahore was inhabited by Hindus. The loss of one’s home is evident from the teary eyed faces of both Rehmat and Samarth. Something that most people who experienced the partition can relate to. As the film progresses, the unthinkable becomes a reality. An Indian and a Pakistani start to recognize the human inside the ‘other’, leading hatred and animosity into oblivion. At one point, Samarth even makes ‘aloo paratha’ (a sub-continental food item) for Rehmat and as both of them share their lives over a meal, borders become insignificant. A gradual realization creeps in among the two that this conflict is a creation of political one-upmanship and self serving leaders who care the least for the sufferings of people on both sides. 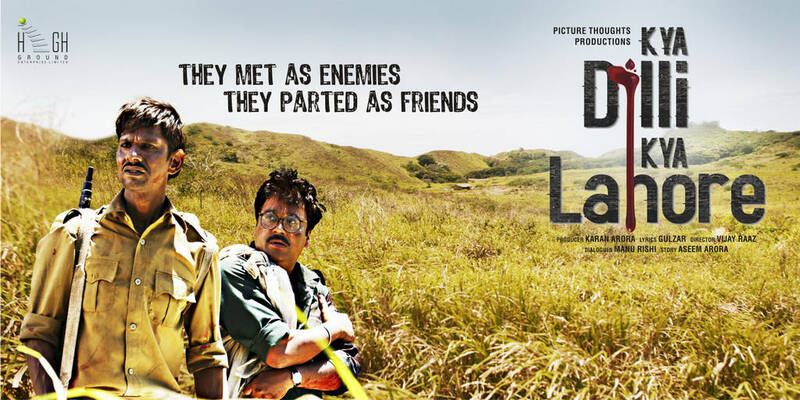 Rehmat and Samarth become friends who realize and fear that they will be labelled as ‘traitors’ for the last that one expects from a soldier is friendship with the ‘enemy’ whom he is supposed to annihilate. They sense that their nationalism will be questioned and their loyalties doubted. In fact, both of them are repeatedly cornered by their senior officials for being ‘refugees’ from whom loyalty cannot be expected as their heart beats for the ‘other’ side. The film is filled with heart touching moments of the friendship that develops between two people who though on opposite sides of the border, begin to realize the special bond through which they are connected to each other. Rehmat starts referring to Samarth as ‘bhaijaan’ (brother) and in the same way Samarth also acknowledges the special place that Rehmat has made in his life in a very short time. One can view this movie from a soldier’s perspective. While the duty of a soldier is to essentially guard the borders of his country from the enemy, he/she is at the end a common person who pines for his family, who wants to lead a normal and peaceful life. War and conflict have a damaging impact on a soldier’s psyche and the movie lets the audience come face to face with the humane side of a soldier. Rehmat and Samarth become friends in a very short period of time under extremely trying circumstances. Yet in the end, they come out with flying colours as they prove to be worthy friends divided by the border, but united by hearts that don’t succumb to human-made divisions. The climax scene is a reinforcement of their unspoken yet deep, pure friendship and love for each other. Kya Dilli Kya Lahore signifies the spirit of this friendship where there is more in common that can bring people together as opposed to keeping them apart. Because once upon a time, the cities of Dilli (Delhi) and Lahore were a symbol of sub-continental unity. Today, even as they belong to different countries, they remain very much similar in character, spirit and love for the one who is on the other side of the border. 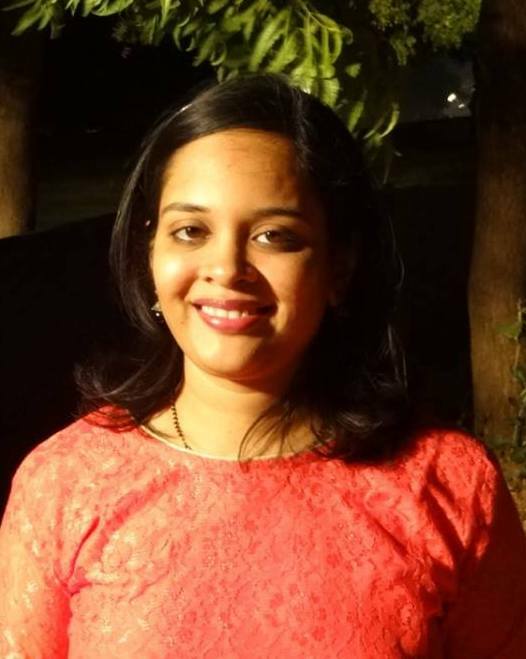 Dr. Nidhi Shendurnikar Tere has a PhD in Political Science from The M.S.University of Baroda, Gujarat and presently works as an independent researcher and writer based out of Ahmedabad. She is the Baroda Co-ordinator of Aaghaz-e-Dosti.